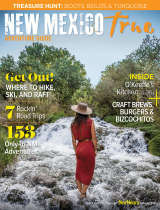 New Mexico has many spectacular sites where you can see the night sky and participate in a star party. Make sure to check out nearby attractions for things to do in the daytime! 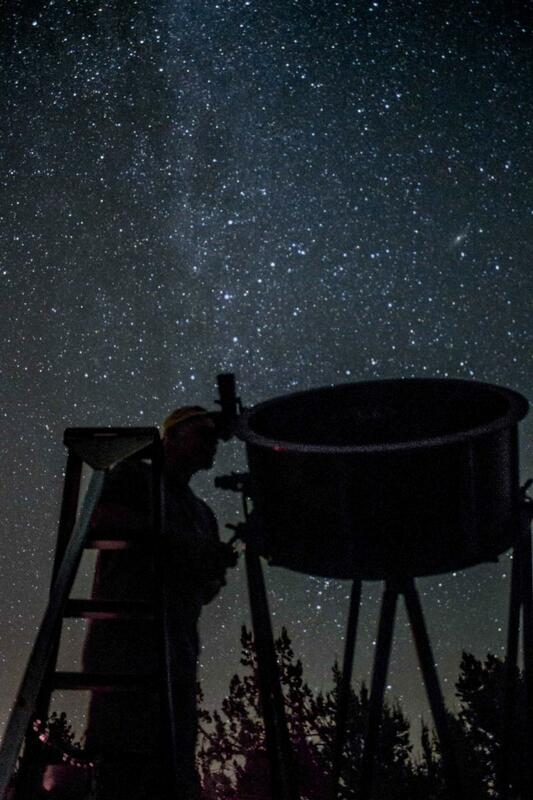 Join rangers and astronomy volunteers for an evening of star gazing that includes an interpretive multimedia program at the campground amphitheater, followed by telescope viewing and a laser-guided constellation tour. times vary depending on sunset, but generally dusk to 11:00 p.m. at the Juniper Campground Amphitheater. 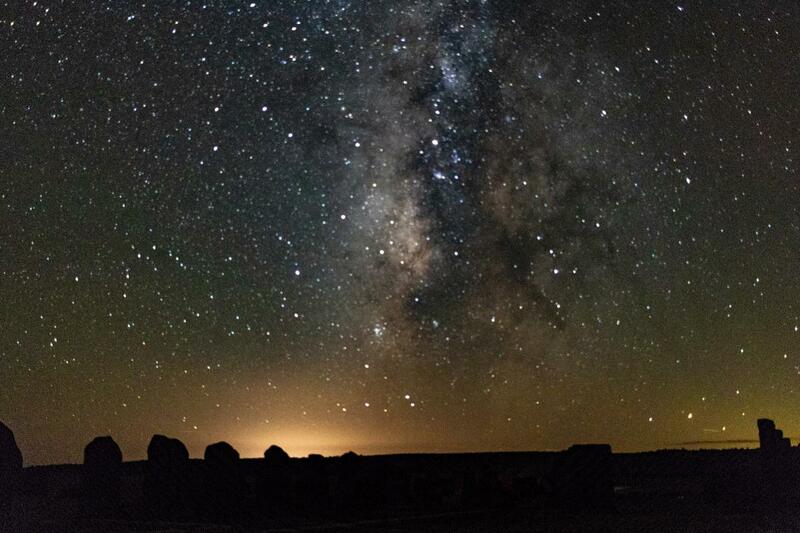 Every summer, Carlsbad Caverns National Park hosts many wonderful night sky events. The park is a perfect spot for viewing the wonders of the night sky due to its location far from city lights. Telescopes may be available for viewing the celestial night sky and provide an opportunity for visitors to see what spectacular views are available in the universe above. Rangers will be available to discuss a variety of topics from nocturnal creatures, cultural folklore, and astronomy. The public is welcome. No fee or advance reservations are necessary. Bring a flashlight and dress for the weather. These events are held immediately after the Bat Flight Program in the east parking lot (the lot with the flag pole). The visitor center and cavern will not be open during these events. Restrooms will be available. The program may be cancelled due to inclement weather. 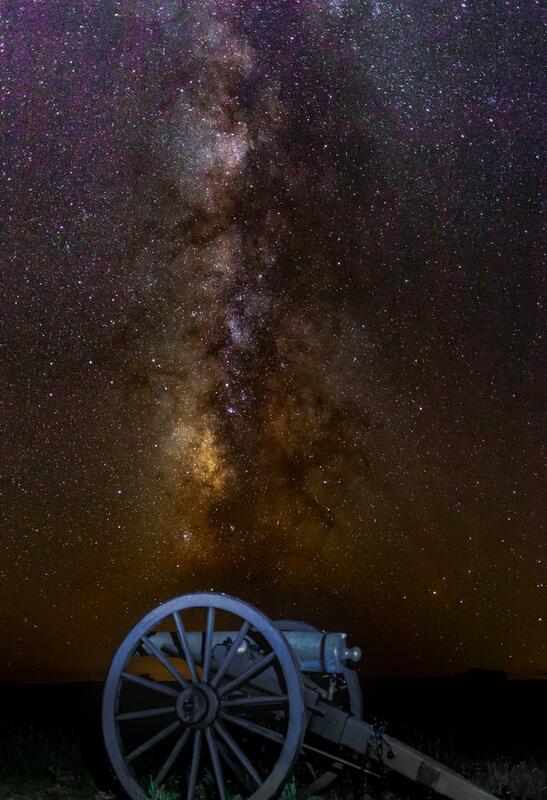 City of Rocks State Park is the first New Mexico State park to have its own observatory! The telescope is a 14’’ Mead Telescope operated by solar power. 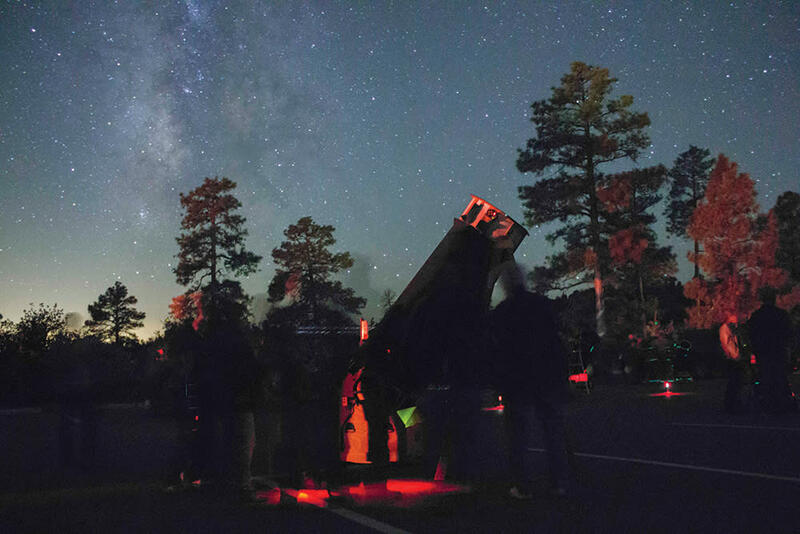 The Park, along with the National Public Observatory, host one Star Party per month. During the Star Party visitors will get a laser guided presentation of the night sky and will get to look through the telescope during the presentation. The programs usually last 2 hours. 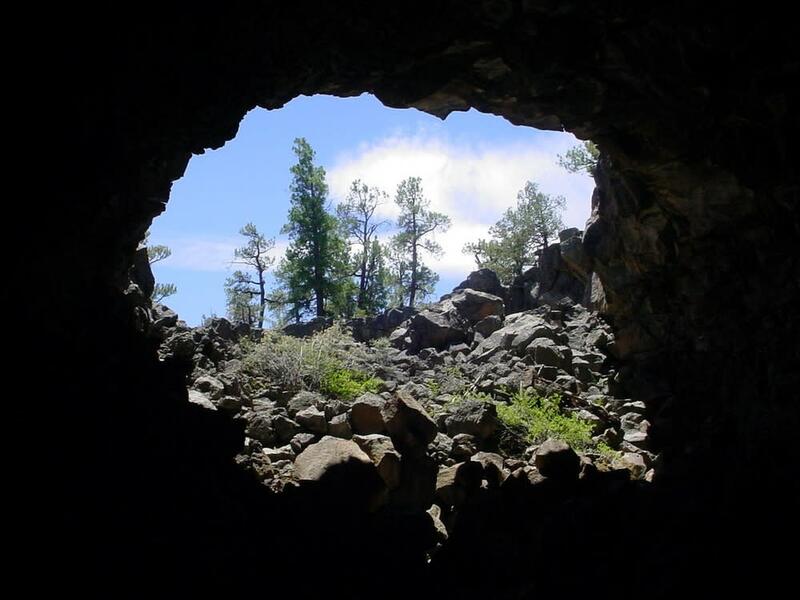 When one thinks of El Malpais National Monument, they may focus on extraordinary ancient lava flows, towering cinder cones or underground lava tubes. Often overlooked is something that can be newly discovered every evening. El Malpais National Monument is a haven for pristine night skies. 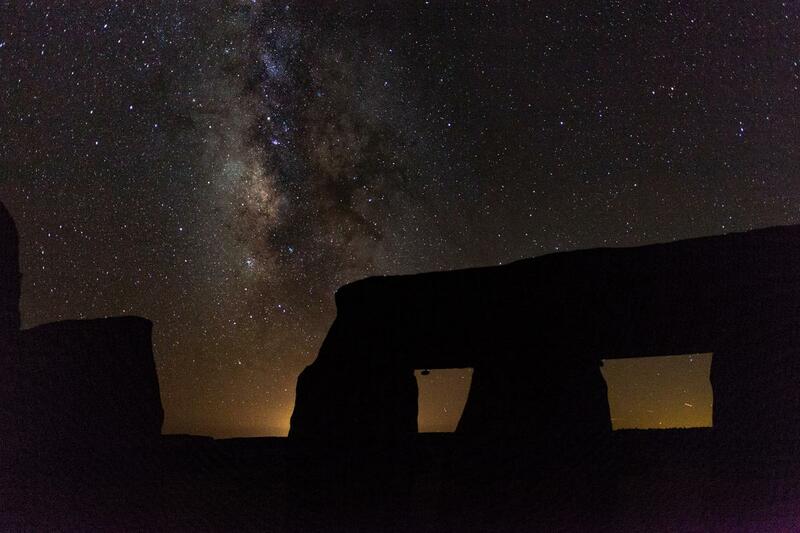 With over two thirds of the monument protected as proposed wilderness, it is simple to find large swaths of land unhindered by light pollution. The Lava Falls, Big Tubes and El Calderon trailheads are excellent places to view the Milky Way overhead. 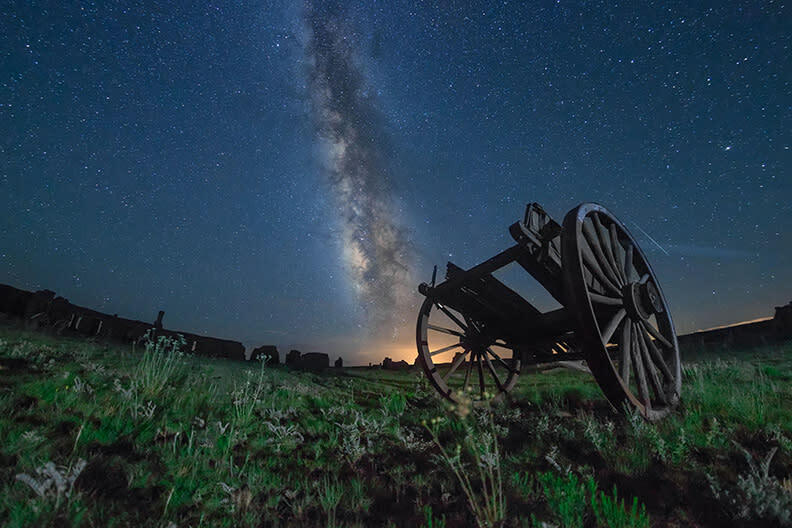 In the clear winter months, ranger led night sky programs are common and large star parties can gather to enjoy El Malpais’ pristine vistas of celestial bodies. 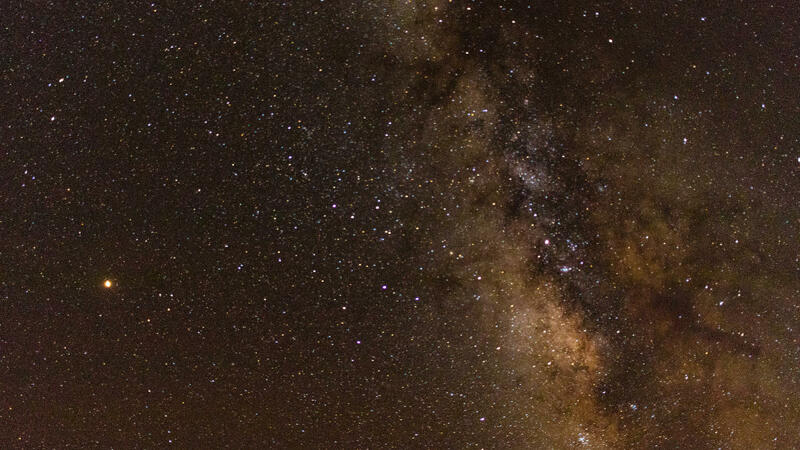 Magdalena NM is surrounded by night sky viewing opportunities, ranging from the Etscorn Observatory on the campus of NM Tech to the Magdalena Ridge Observatory. It is also very near to the Very Large Array, one of the largest radio astronomy installations in the world. Magdalena is home to the Astronomical Lyceum, a fascinating collection of historical telescopes, astronomy books and all-things-astronomy. Magdalena’s night skies are so full of stars that the local Chamber includes “Gateway To The Stars” in its logo. 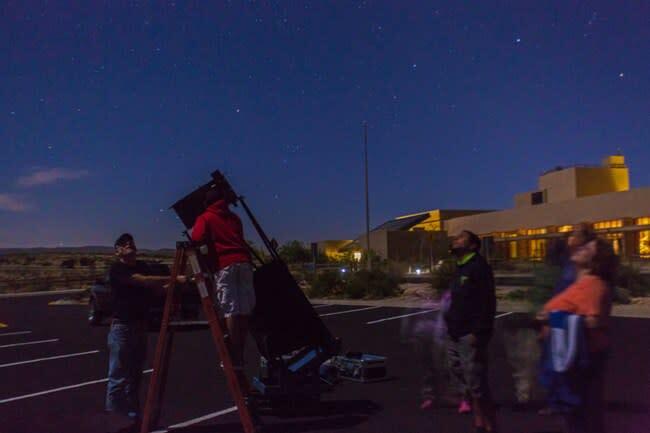 The town also has the longest running star party in NM, a multi-day event with dozens of large telescopes set up for the public to enjoy at night. Oliver Lee State Park is located south of Alamogordo in a beautiful setting next to the Sacramento Mountains. The Park hosts the Amateur Astronomy Club every month for a Star Party that is open to the public. Valle de Oro National Wildlife Refuge is a brand-new urban wildlife refuge located in the South Valley of Albuquerque. Once a 570-acre dairy farm, Valle de Oro aims to convert the current alfalfa fields to historic wetland habitat and some upland habitat, perfect for a variety of wildlife. Valle de Oro works to promote environmental stewardship through special events, education, interpretive programs, youth conservation crews and more. It is the first Urban Wildlife Refuge in the Southwest and the first Wildlife Refuge in the country to be built from the ground up with the Urban Standards of Excellence. Because the Valle de Oro National Wildlife Refuge is located in the South Valley of Albuquerque, it’s a quick drive compared to other locations and the night skies still have much to offer. 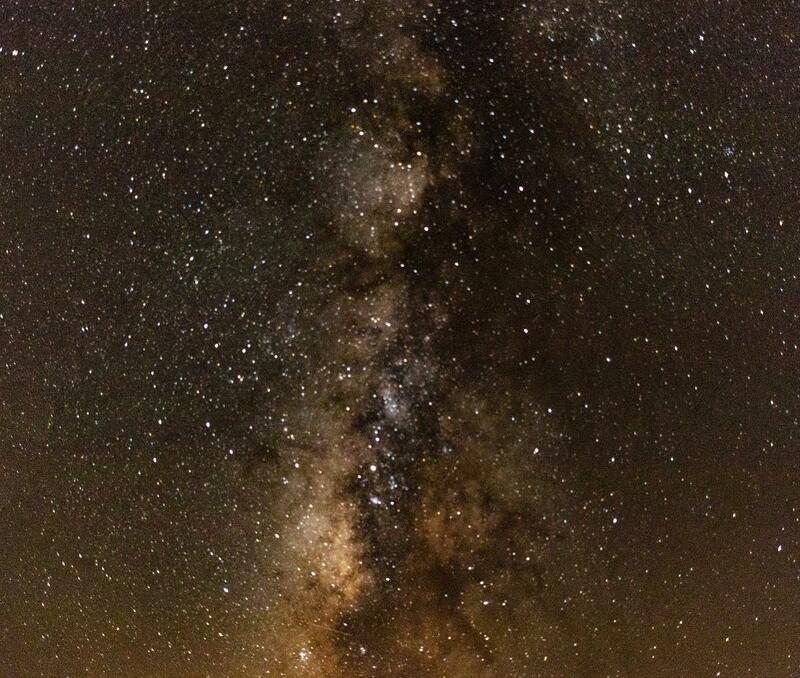 Normally, the refuge is open from one hour before sunrise to one hour after sunset, but with permission of the Refuge Manager and on nights when Valle de Oro has Star Parties, you may visit Valle de Oro after hours and take a gander at the beautiful starry, urban sky. 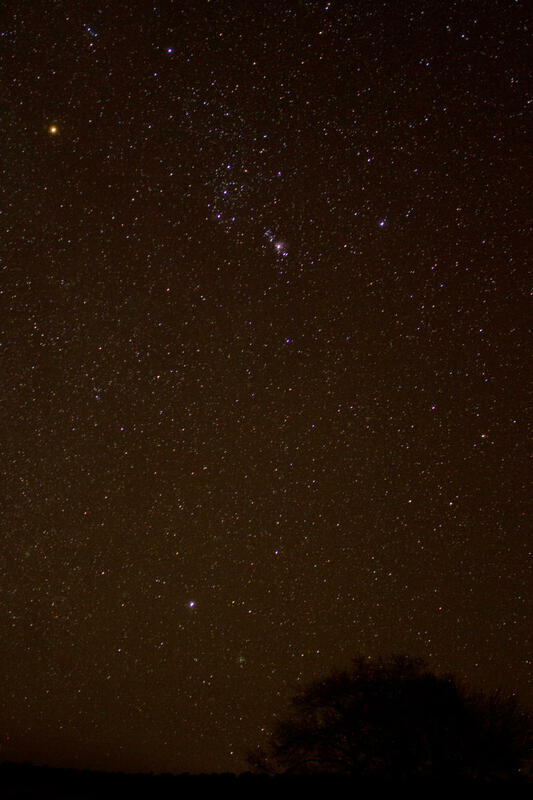 Valle de Oro is currently aiming to become one of the first Urban Night Sky Areas. Although the name is tentative, the goal is to have areas that are not quite dark enough to become dark-sky certified by the International Dark Sky Association be recognized for their efforts to promote night skies in urban areas.